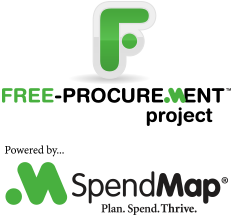 We added a new feature in v14 of SpendMap that can help you stick to your budget by proactively warning you when you’re running out of money. In Cost Center History/Budget Settings, you can establish the “budget threshold”. For example, you might want to be warned once you’re down to, say, 20% of the budget remaining (i.e. 80% budget consumed). While entering new POs, the hyperlink that shows the total value of the order at the top of the Purchase Order Header Screen will change from green to yellow when the budget threshold has been reached. Then the hyperlink will eventually change to red when there’s nothing left in the budget. TIP: Click through that hyperlink to see the full budget details.